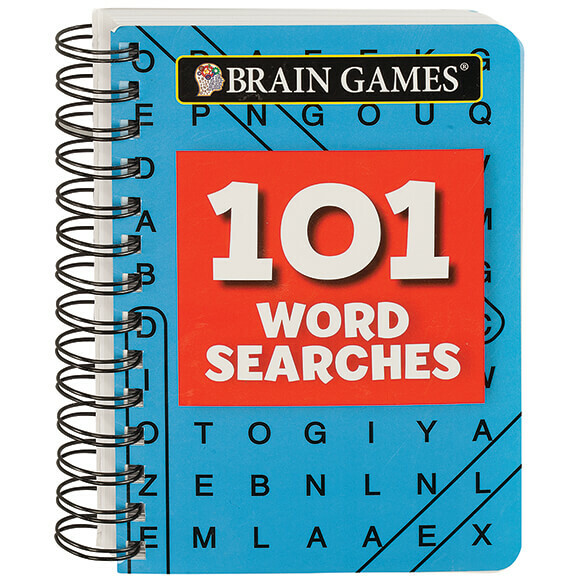 With 101 word searches in one grab-and-go book, your SEARCH for brain-boosting fun ends here! Perfectly sized for your purse, briefcase or carry-on, it's easy to keep on hand for whenever you have a little downtime. Best of all, while testing your trivial, geographic, vernacular and pop culture knowledge in these word searches, you'll treat your brain to a stimulating mini workout while enjoying the fun! 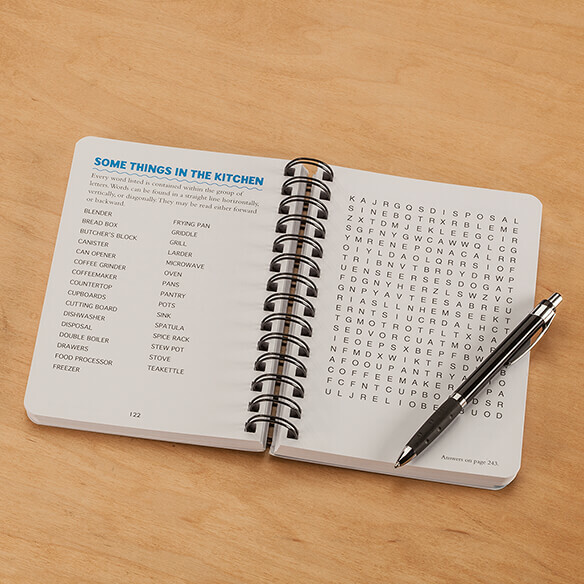 Spiral binding keeps Brain Games¨ Mini 101 Word Searches flat during use. Word puzzle book measures 7 1/4"L x 5 1/2"W.
Because it lays flat when in use. I enjoy doing word searches while flying to my vacation destination. I loved to keep my brain working doing the word searches.